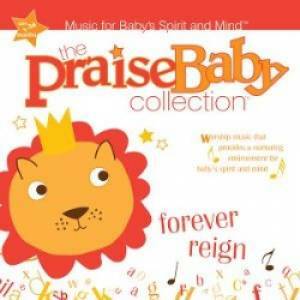 Forever Reign the brand new CD from bestselling children's series Praise Baby. Combining popular praise and worship songs. Praise Baby: Forever Reign CD by Baby Collection Praise was published by Authentic in November 2012 and is our 13979th best seller. The ISBN for Praise Baby: Forever Reign CD is 083061096120. Be the first to review Praise Baby: Forever Reign CD! Got a question? No problem! Just click here to ask us about Praise Baby: Forever Reign CD. Now Playing: Forever Reign Your browser does not support the audio element.